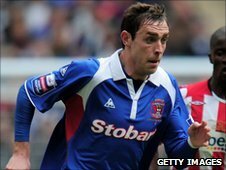 Defenders Richard Keogh and Tom Aldred have rejected new contract offers at Carlisle United. Keogh, 23, was named the club's player of the year last season while youth product Aldred, 19, earned Scotland Under-19 honours. Carlisle boss Greg Abbott said: "We felt that Richard probably made his mind up the longer this went on. "Tom Aldred has listened to advice from his representatives and we have to respect that." Abbott confirmed that he has been working on a replacement for Keogh since the player initially turned down a new deal at the end of the season. 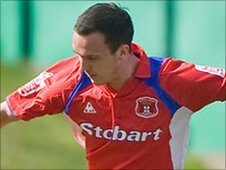 The Cumbrians hoped the former Ireland U-21 international would change his mind after talks with the Carlisle manager. "We've been working away behind the scenes just in case this was the final decision, to make sure that we were ready to react." Abbott said. "We're in a position to do that so all we can say now is that he has been fantastic for us and that we wish him all the best." Aldred was initially offered a new one-year contract towards the end of last season with a second year option added as talks progressed. The defender, who came through the youth ranks at Brunton Park, enjoyed a successful loan spell with Blue Square North side Workington last season before returning to make five first team appearances for Carlisle. Abbott said: "We felt that we had made a good offer to a young player who is progressing well but he has had his advice and he now has to do what he feels is best. "It goes without saying that we also wish him all the very best for the future."